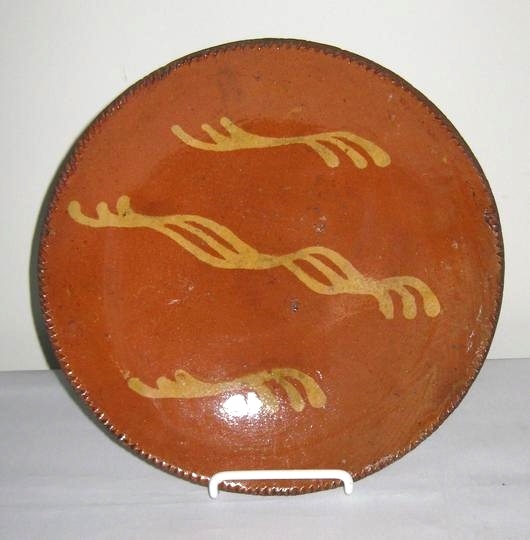 Large 19th C. Redware Pie Plate with cogged edge, 10 1/4″ diameter, 3 sets of 3 wavy slip line decorations. Nice pumpkin orange color. Excellent condition.